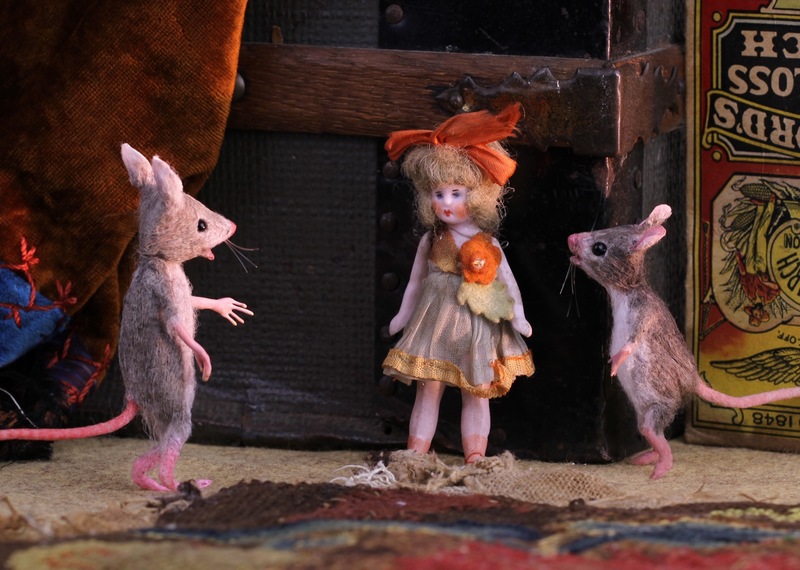 The little person and the mice look so fantastic together. I Just love the expression on the mice. You are one clever lady. Ooooh! It's Goldilocks and the Two Mice!!! LOL! I LOVE this! It is Utterly charming! Very beautiful,i love the expression onthe mice too. Oh my goodness! I love your mice! I just found you via the new Artful Blogging in which you and I are both featured...I'm so happy to have found your precious little world! Amazing!